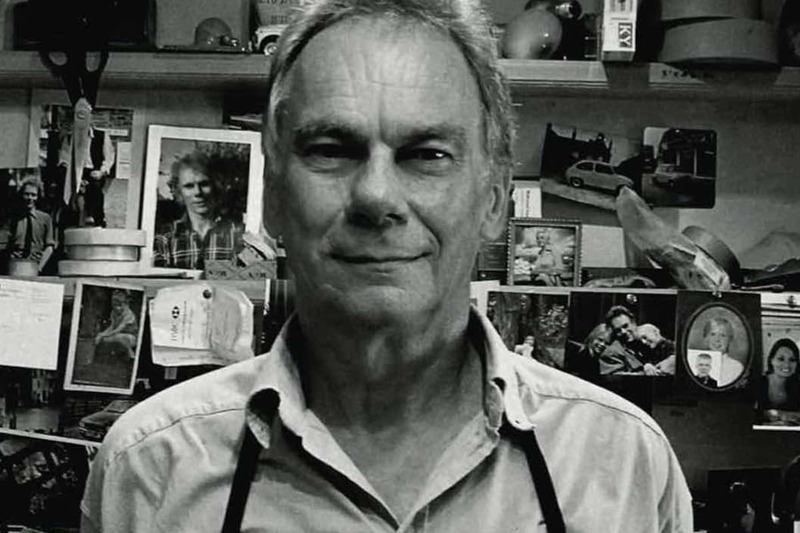 John Myatt found fame for the wrong reasons when he became involved in the biggest art fraud of the 20th century. His uncanny ability to recreate famous artists led him to become involved with a shady group of people, and he was eventually imprisoned for his role in the fraud. Yet now, he is a highly regarded artist in great demand. How did he rise to such a position from such a low point? When did you realise there was a market for your genuine fakes? A week after I came out of prison, I was headed to a local garden centre for a job interview. Before I left, I had a phone call from the policeman who put the case against me together. While studying my case, he realised that I had a talent and commissioned me to paint a family portrait. After that, a solicitor involved in my case also commissioned me to paint. I never made it to the garden centre! The next important stage was appearing on a TV show on Sky Arts about forgery which helped raise my profile further. A gallery then asked me to put on an exhibition so I asked the host of the show, Anne Robinson to open it, and her drive helped make it great success. The paintings sold out, which helped the gallery immensely and safeguarded my future. Everyone benefited and it became clear that this type of art was a serious option. I have a lot to thank the policeman for. Do you immerse yourself in the life of the artist, like a method actor, to faithfully recreate their paintings? The famous forger Tom Keating was a method actor-type, he would start crying like Van Gogh. That's not how I work. I just look at how the painting happened and work out how to enjoy painting it on my terms. I paint fakes, not forgeries. I riff on what the artist did in my own style. I like the technical challenge. Obviously people wouldn't buy them if they weren't close to the original, but it has to be enjoyable to me. Does this process give you a greater appreciation of an artist like Van Gogh? There's a certain amount of hype about someone like Van Gogh. He was self-taught, learnt on the job and so his paintings don't follow the usual rules. I enjoy painting Van Gogh, but if I paint his work for a while, I want to change style, perhaps a Renoir or something in my own style. Your exhibition in Canvas Gallery Winchester is attracting great attention, why is there such an appetite for genuine fakes? It's now commonplace for paintings to sell for £10 million and beyond. Unthinkable amounts. My paintings offer a way for people to get close to these paintings. It democratises art away from the select elite. Your latest work is the Mona Lisa. Why is this painting so iconic? There are just so many stories about this painting. It ended up in France because da Vinci took across the Alps when he was still working on it. This is because it had been acquired by the king of France, Francis I, as part of an influx of Italian art which helped trigger the French revolution. The painting itself is fascinating. The water level is much higher on one side of the subject, the only explanation being that there's a waterfall behind her head. The painting is not as it was first created because it is buried below 500 years of grime. It's had acid thrown at it, a man shot himself in its vicinity. This is why I spent so long trying to create the cracking on the surface because the aged version, with all its stories, is what people are familiar with. The Mona Lisa copy housed on Museo del Prado, widely believed to be the most accurate copy, is said to be a more accurate representation of the original because it is better preserved. Da Vinci was an incredible man and the Mona Lisa is an incredible painting and I hope that by creating a Mona Lisa genuine fake, it becomes accessible to more people than ever. To browse original John Myatt art and prints online, please visit our John Myatt artworks page here.